Product prices and availability are accurate as of 2019-04-10 19:27:59 UTC and are subject to change. Any price and availability information displayed on http://www.amazon.com/ at the time of purchase will apply to the purchase of this product. Rusco Spin Down Separator Sand / Sediment Water Filter 100 GPM. 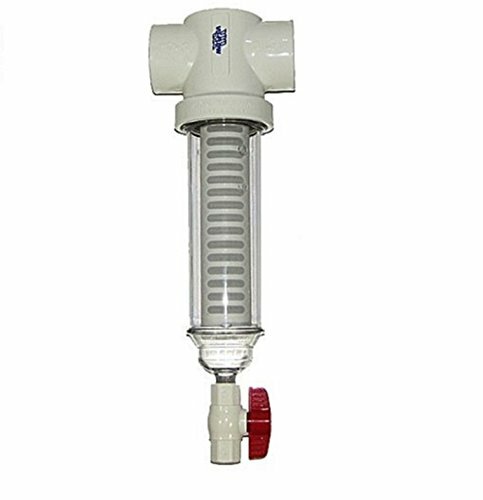 This system is ideal for filtering out coarse sediment without the need for cartridge replacement. A polyester screen filters the sediment. Periodically the sediment will need to be removed. This can be done by simply opening the purge valve allowing the sediment to be flushed out via centrifugal action. The polycarbonate transparent sump permits monitoring of trapped sediment. The 2 inch pvc inlet outlet head (slip fit) provides a 100 GPM flow rate. 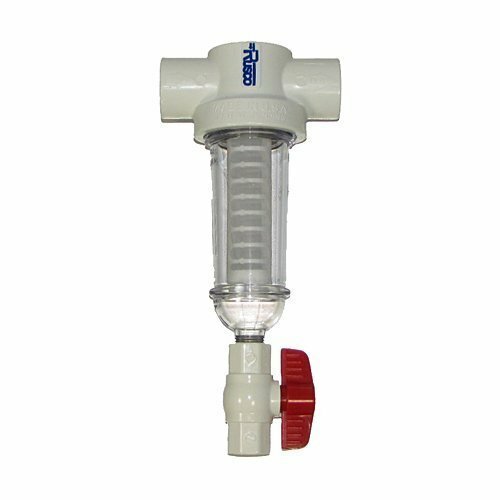 This filter housing is manufactured from the highest quality NSF listed, FDA grade materials. Approximate dimensions 5.75 inch width x 17 inch length. High impact, molded polyester mesh filter screens.